GlobaFone remains the leader in providing exceptional client care in the Mobile Satellite Solutions (MSS) market. 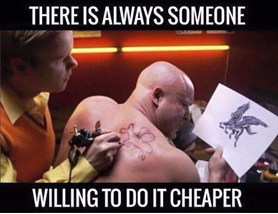 Sure, price is important but how your provider takes care of you is MORE important. Our focus is on exceptional client care, not just cheap stuff. We offer competitive pricing with the absolute best client care in the industry – the undisputed best overall value for your organization’s budget. And your sanity! All others are copies of the GlobaFone originals! When you change providers you need to swap SIM cards and we have it down to a fine art form. We’ve done dozens of SIM card swaps from two to over 200. In fact as you read this we are engaged in two SIM swap projects, each just under 100 SIM cards each. When you get right down to it, GlobaFone offers you immense value for your time and budget, not just an artificially low price. You want to be sure that when you or your staff are immersed in an emergency and need help, your SatCom provider will answer. Switch to GlobaFone and find out what it’s like to have a real partner in your success. The Presidential campaigns get worse each cycle. I mean, really, “Oh boy 18 months of political jabbering via the 24-hour, instant broadcast news cycle”. Said no-one ever. The constant barrage of ugly commercials, the mud-slinging, The PAC ads (that are accountable to nobody for accuracy) the comments out of context that become oppositional mantras…. Yuck. It’s enough to make you want to hibernate for six months until it’s over. Yet if you mentally and emotionally separate yourself from the day to day distasteful noise you can make many great observations. And this election in particular taught us some very important lessons in sales. Observation 1: You need to assimilate to the people whose support you request. Despite the fact that both candidates live in an insular world with which we commoners do not identify (I only personally know a few people who fly in private jets), Hillary compounded the problem by making herself ‘scarce’. The lack of public appearances, the lack of news conferences, the lack of retail politics, all helped to bolster the aura of elitism. Look no further than wearing a $12,000 jacket to a poverty event. It’s a huge disconnect. You need to dive in with us working class if you want to even pretend you can identify with us. The Sales Lesson: Build rapport with those to whom you want to sell. In sales, we use vocal matching, body language matching, even clothes matching. You cannot build rapport from a distance. Observation 2: The observation 1 disconnect was compounded by the numerous scandals – real or not – that made their way to the headlines. One set of rules for me, a different set for you. A repeat on that elitism, where you are not convincing voters that you will serve them, yet you want their support. We buy from people, we know, like and trust and we buy for OUR reasons, not the sellers. (Vote for Hillary because she’s a woman?) Hillary Clinton failed at all three – being known, liked and trusted – in fact one can observe that she didn’t even do a good job pretending to be likeable. On top of that was the dual personas; one in public and one in private. Being genuine, despite faults is likeable. The Sales Lesson: We buy from people we like and being genuine is a likeable characteristic. We can move on to Donald Trump and examine how he won an astoundingly larger share than anyone thought. Observation 3: His bad behavior, foul language, perceived bigotry, or racism meant that he is human, and tasteful or not, he was being genuine. No well-scripted, well-rehearsed, talking points. He acts like the rest of us; often fumbling along in a public setting, saying whatever comes to mind (and to his potential detriment) skipping the filter and using the ‘outside voice’. This is not to suggest that you and I walk around insulting people all day, but it did show that Trump is ‘one of us’. He’s just another guy, with a more expensive suit and much more expensive ride. Despite this obvious economic difference, Trump was out there, working the people in front-line fashion, being one of us, making mistakes along the way, being rude and offensive, yet being genuine. It was a very powerful technique. Look at the result. The Sales Lesson: Get to know your customer so you can associate with what they want. Peter Drucker said the best way to be successful is find out what people want and deliver it to them. And, I ‘ll add – always be genuine. Observation 4: The biggest lesson resides in what we all want: to be heard and acknowledged. There was a large swath of the population that came out in force because Trump, real or perceived, acknowledged them. It may have been directly or by association or generalization, but he effectively mobilized a populous that has largely felt forgotten and finally felt as if a candidate was speaking to them, specifically to them. And they reciprocated, in many demographics (52% of women?) in surprising fashion. The Sales Lesson: When you acknowledge your customers, they will be more inclined to buy from you. If you remember that basic notion that your customers are buying for their reasons and they want those reasons heard, you’ll succeed. The pundits – many of whom were embarrassingly wrong – are soul-searching to figure how they missed the results we saw last Tuesday. It’s simple – they were looking at this election as the lesser of two bad choices contest. They completely ignored what was really for sale and who was making the better sales pitch and promising better customer service. We’ll see how well it all works out in the next four years.